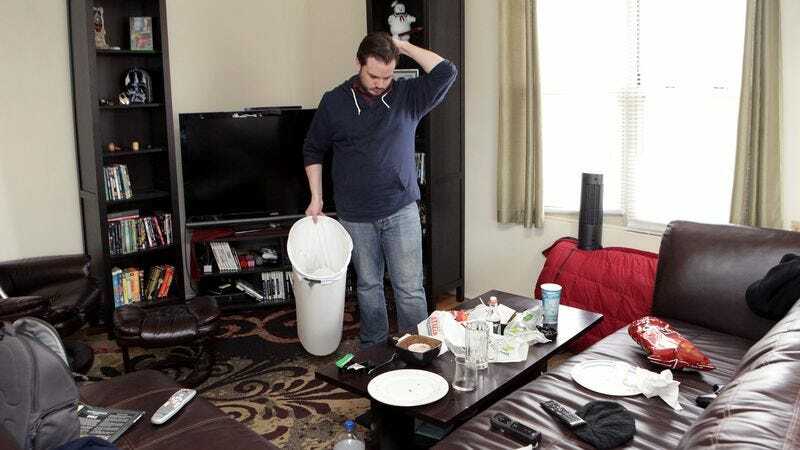 NEW YORK—Saying that he doesn’t like to let dust and clutter pile up for too long, area man Justin Buntz informed reporters Wednesday that he gives his one-bedroom apartment a thorough cleaning once every relationship. “I like to keep to a pretty regular cleaning schedule, so every time I start seeing a girl, I set aside a solid half hour to give the place a good once-over,” the 28-year-old graphic designer told reporters, noting that after emptying the refrigerator of expired food, wiping off the counters, and throwing his sheets into the laundry, he can then leave his apartment untouched for “however long things between us last.” “I swept the entire apartment when Kelly and I started dating in 2012. Then I touched it up again before Alison saw it last spring. Lately, though, I have to admit I’ve kind of fallen behind, so I’ve just been heading to Jessica’s place every night to avoid having to deal with it.” Buntz added that his shower curtain, however, only requires replacement once every six relationships.